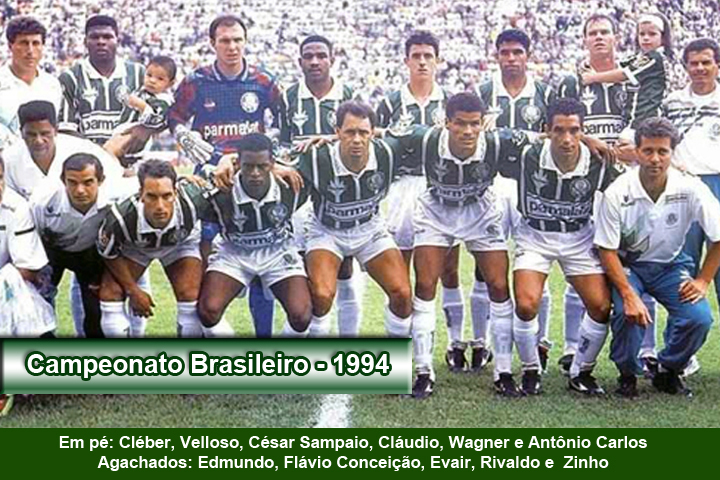 Palmeiras supporters can add one more week of disappointment as not a single player has been officially announced. On the contrary: media report on several frustrated attempts of “nearly there” with the player ending up going to a rival. The day before yesterday, manager of the football department Cesar Sampaio said that Palmeiras from now on would avoid talking about prospects and conduct negotiations secretly. Sounds like an amazingly new and bold strategy; no wonder I never thought of this. Not only some fresh players would be welcome, but also a heavy sponsor. 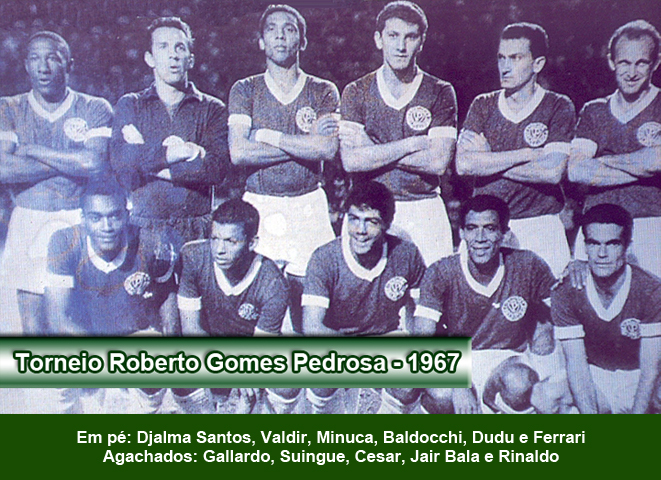 The way things are going, Palmeiras are likely to start next season without any logo on the front of the jersey, i.e. the prime space for advertisement. It’s no secret that negotiations with Fiat for renovating the sponsorship deal broke down some time ago. Rumours are that other car makers – primarily Hyunday and Jac Motors – are interested, but that Palmeiras are demanding more than these companies are ready to offer. Finding a major sponsor is important and Palmeiras mustn’t sell out cheap: after all the club has a name to honour in addition to a large supporter base with above average purchasing power. Still, Palmeiras are not exactly in the strongest of negotiating positions after recent (years of) turmoil and if we then take the quality of our directors into account… Better start praying. Palmeiras lost 7-0 to Atlético/MG and failed to classify to the knockout stage in the sub-20 Brazilian championship. Unable to muster the enthusiasm to write up an analysis of what went wrong, I’ll simply state “such is football” and leave it at that. The Brazil Cup 2012 tables have been made available by CBF – the Brazilian Football Federation. 64 teams battle it out as of 7 March, with finals scheduled for 11 and 25 July. As usual, the champion guarantee a spot in the following year’s Libertadores Cup. In the first two rounds, the away team go through if winning the first leg by two goals or more. Palmeiras’ first opponent are Coruripe, from the state of Alagoas; the first leg takes place on 14 March. 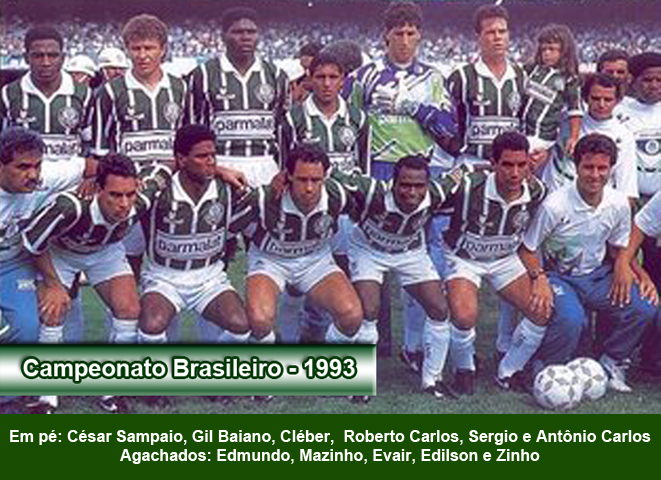 Before any official game in the Brazil Cup or even the Paulistão, Palmeiras play a friendly against Dutch team Ajax. The game – taking place in São Paulo on the 14 January – serves two primary purposes: bring in some cash and present newly contracted players [sic]. The organisation of the event lays with Kentaro, an English company also responsible for friendly games with the Brazilian National team. It has been widely speculated that the friendly against Ajax could be a farewell for Marcos. The legendary keeper’s contract expires at the end of the year and his future is still undefined. In early January Marcos will meet with Sampaio and Scolari to define if it’s realistic to keep punishing his body and, in particular, his knees. “Let’s see. If I need to stop, I’ll stop”, he says, very well aware of the fact that he hasn’t defended Palmeiras goal since 18 September. Marcos says he’s leaving the decision – to remain or not in the squad – entirely to coach Luiz Felipe Scolari. 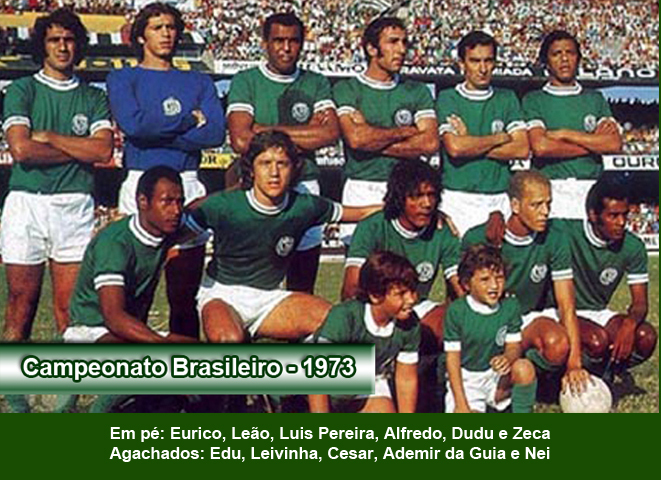 Until recently the official CBF ranking of Brazilian teams was based on contests as of 1971, making the Brazilian rank one of the worlds shortest in memory (and depriving for example Pelé from labelling himself Brazilian Champion). 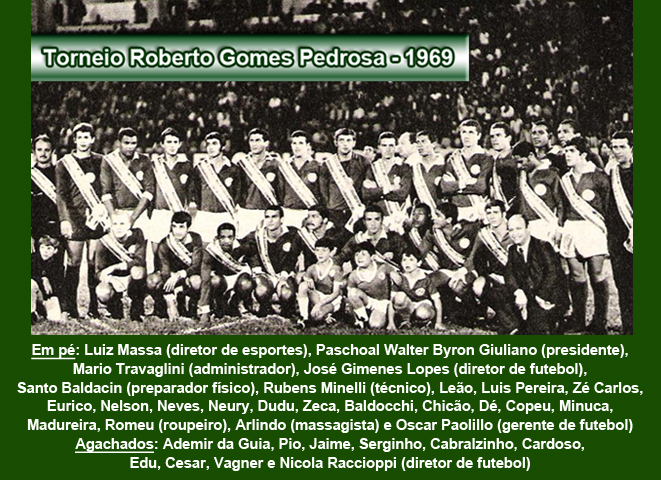 After carefully examining arguments for and against, in December of 2010 the CBF decided to also recognise and include the national championship tournaments that took place between 1959 and 1970, namely the Taça Brasil and the Roberto Gomes Pedrosa. 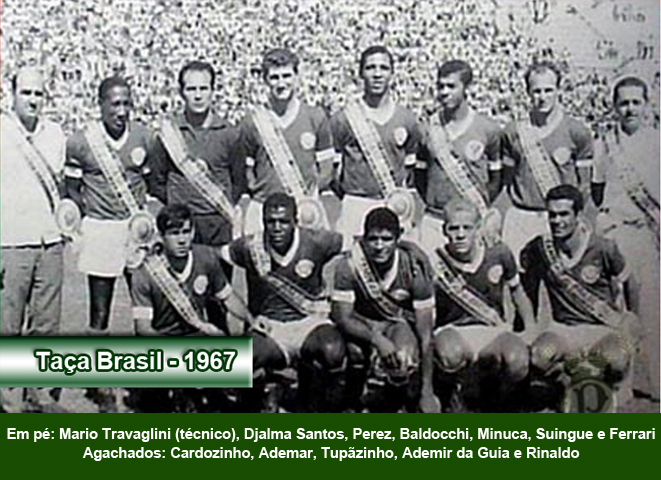 During the period of 1959-1970, Santos won no less than six national titles; with the recent unification of national championship titles Santos have been propelled to second place in the overall ranking with a total of eight titles. 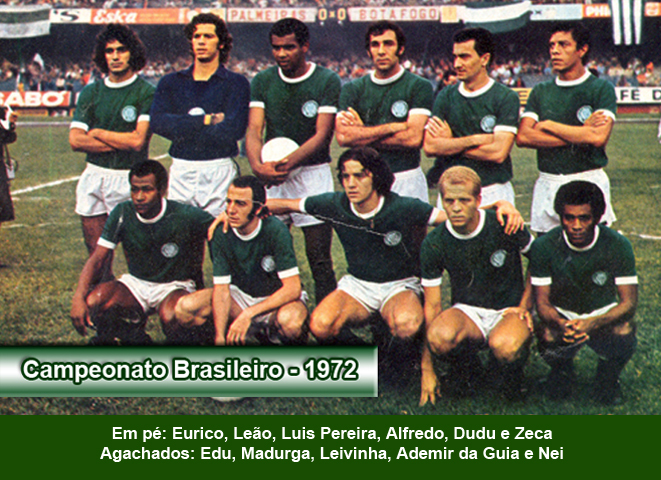 Palmeiras can add the championship titles of 1960, 1967 (x2) and 1969 in addition to the previously recognised 1972, 1973, 1993 and 1994 titles, thus also reaching eight titles and – by a margin of eight points and a total of 2.366 points – are the team at the top of the ranking. 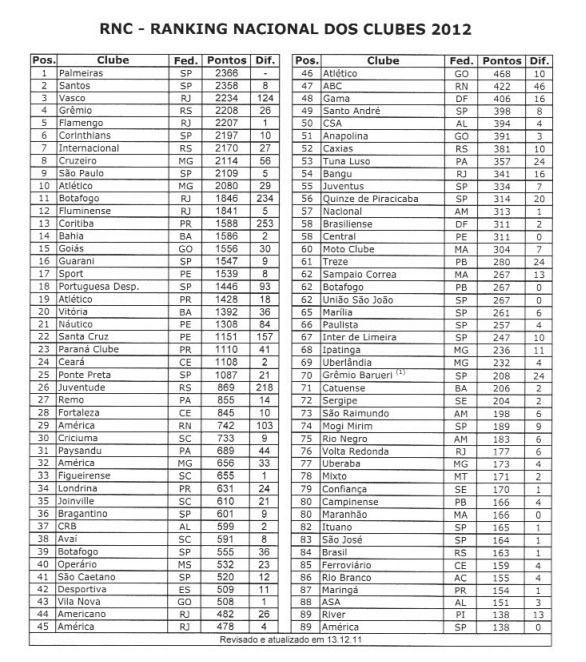 Thus, it is now officially recognised: Palmeiras are the overall best team in the history of Brazilian football (at least by today’s measures). 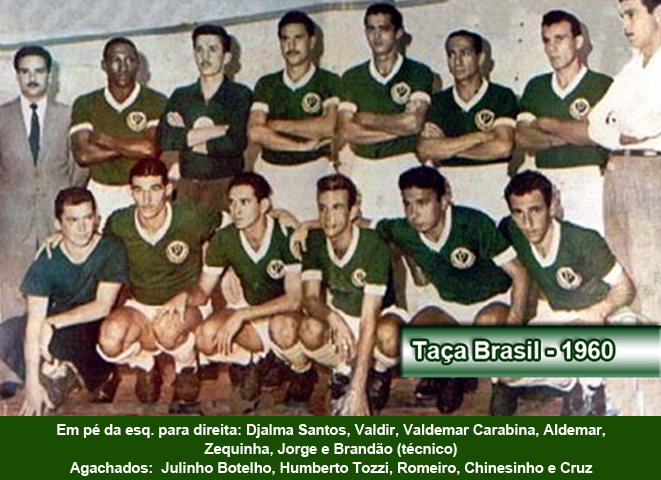 Below, pictures of the eight squads that brought glory to Palmeiras. AVANTI PALESTRA, OTTO VOLTE CAMPIONE BRASILIANO!